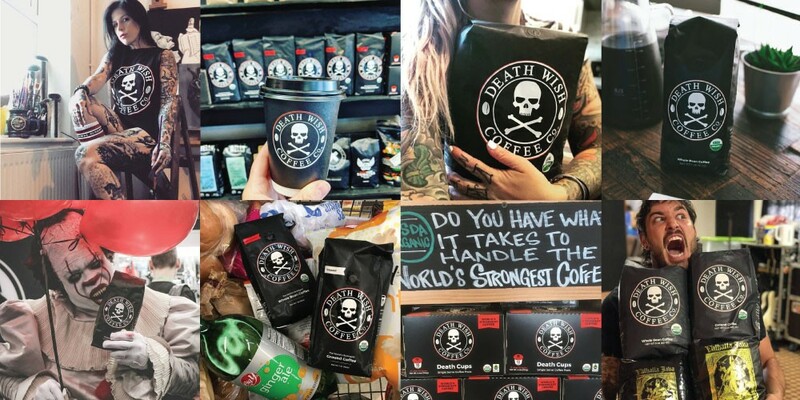 Death Wish Coffee, the world’s strongest coffee, is crafted with carefully selected, perfectly roasted coffee beans to produce a dark, bold, highly caffeinated coffee blend. Our coffee has double the strength of your average cup of coffee without being bitter or acidic. Be on the top of your game every day with the clarity and focus that comes with a strong cup of coffee. 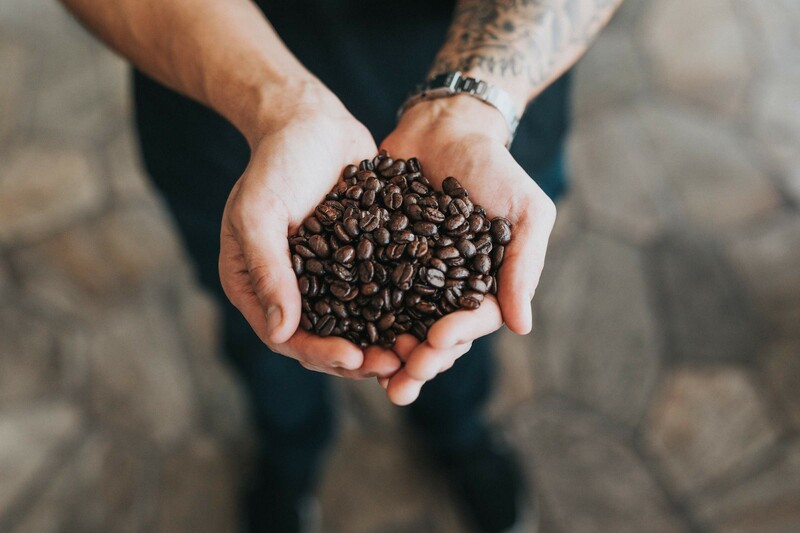 Death Wish Coffee was founded in 2012 when our owner Mike Brown was looking for a bolder, stronger coffee to fuel his morning customers — and the world’s strongest coffee was born. Using a unique blend of coffee beans and a slow roasting process, Death Wish Coffee contains about 200% the strength than your average cup of coffee. 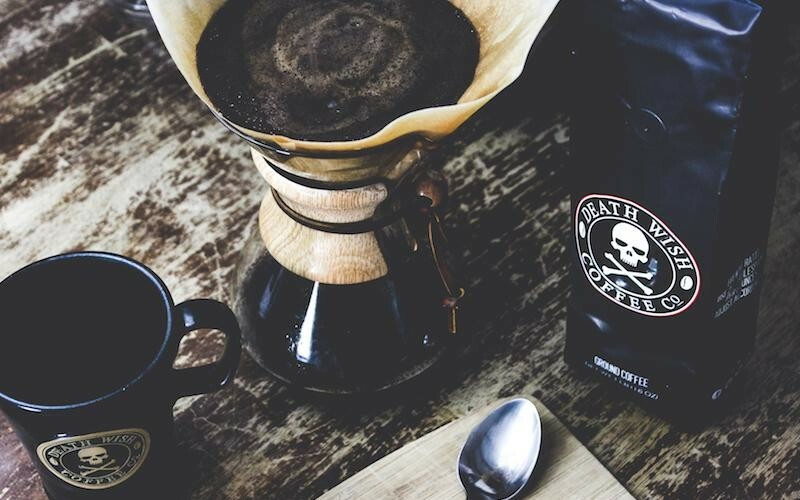 Today, thousands of people trust Death Wish Coffee to wake them up and keep them going every single day. How much stronger is Death Wish Coffee versus other coffee? Death Wish Coffee, on average, has double the strength of your average cup of coffee. As a blend that offers high caffeine content and an unparalleled flavor profile, Death Wish Coffee's recommended brewing ratio is 2.5 tablespoons of grinds per every 6 ounces of water. This recommended ratio is designed to ensure the kick of caffeine without compromising the overall taste. There are zero calories in Death Wish Coffee. Because both of our Death Wish and Valhalla blends are USDA Certified Organic and Fair Trade with no additives or ingredients beyond the organic coffee beans, our blend has only about 1 calorie per cup, no carbs, protein, or fiber. 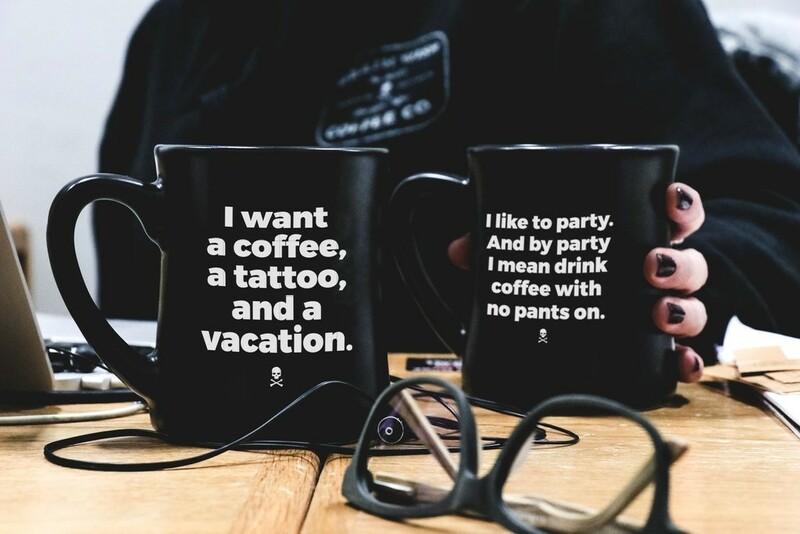 What’s the difference between Death Wish Coffee and Valhalla Java? The biggest difference between our original Death Wish blend and the Valhalla Java, our blend created with world-renowned guitarist Zakk Wylde, is the overall strength. Death Wish Coffee has higher caffeine content across the board, and it's actually the darker roast of the two blends. Death Wish Coffee uses both Arabica and Robusta beans, sourced from mainly, India and Peru. Valhalla Java uses a blend of Arabica and Robusta beans sourced from Honduras, Guatemala, Sumatra, Peru, and India.